Long day of adulting? Come to the place where the Orioles squad gathers! With our custom Baltimore Orioles Personalized MLB Pub Sign Wall decor, this hangout can be all yours — as long as you keep the one-name custom request at 14 characters or less and the full name request at 24 characters or less. 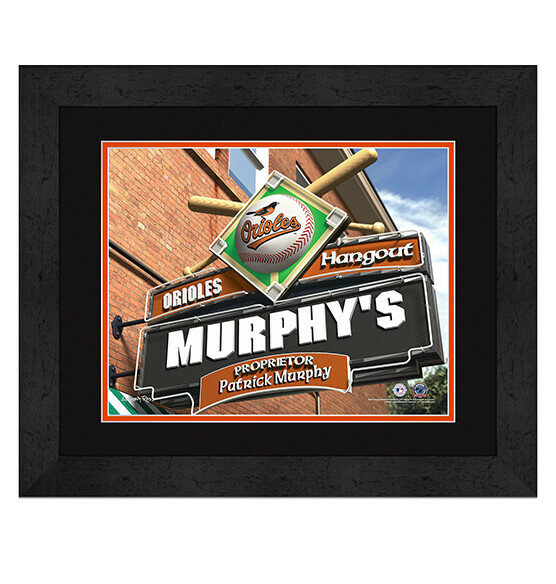 This personalized pub sign makes a fantastic gift to give to an O's fan who has just about everything. Elegantly finished in a black frame, this made-to-order print is protected behind high-quality glass. It comes ready to hang with an included sawtooth hanger for easy decorating.